Click on the Main menu button > Preferences. Go to Plugins > Audio Library. 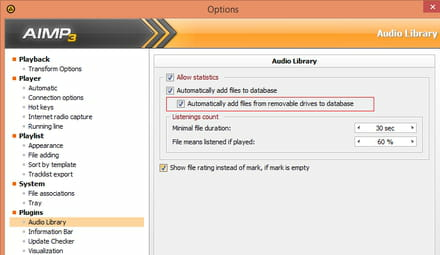 Check "Automatically add files from removable drives to database". Published by deri58. Latest update on March 23, 2014 at 04:27 AM by deri58. 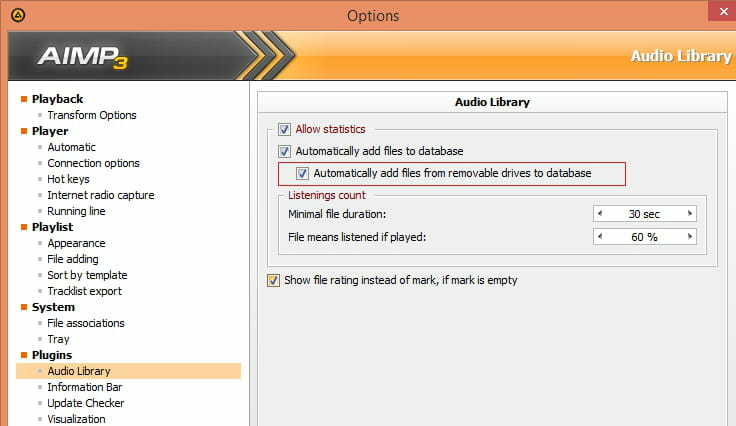 This document, titled "AIMP - Automatically add files from removable drives to your music database," is available under the Creative Commons license. Any copy, reuse, or modification of the content should be sufficiently credited to CCM (https://ccm.net/).